Spring training is over – regular season MLB baseball is finally back! And in New York today sees the Yankees take on the franchise from nearby Baltimore. With a huge Opening Day win for the Yankees, the Orioles will be looking to strike back quickly on the first Saturday of the 2019 regular season. Find out who will win with an Orioles vs Yankees live stream today. 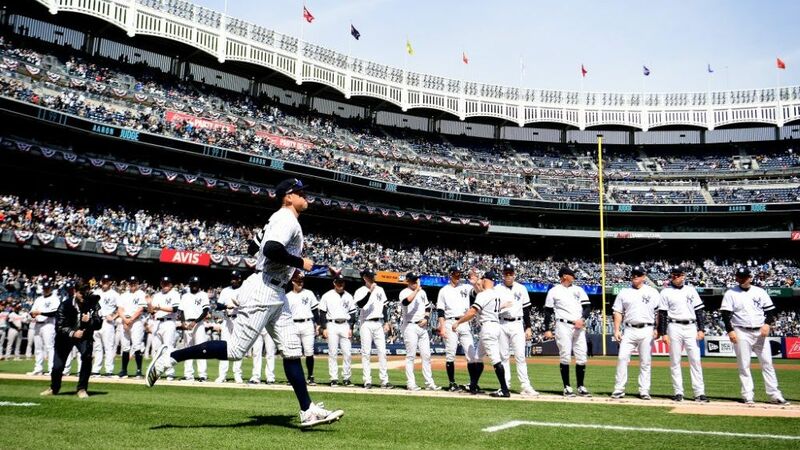 Orioles vs Yankees MLB 2019 – when and where? The Baltimore Orioles and New York Yankees do battle in a three-match series to kick off the new season, starting March 28. The action of game two starts at 1.10pm local time – so that’s just after 10am PT – on Saturday, March 30. The first games of the 2019 campaign take place at Yankee Stadium in the Bronx, New York City. It’s now been 10 years since the Yankees last won a World Series and their players and fans alike will be desperate to go back to the top of the MLB tree. Aaron Judge will be the man with so many hopes on his shoulders, and he didn’t disappoint on the Opening Day with three runs from two hits in a convincing win. Orioles fans may feel like they have a long season ahead after their only 2018 All-Star shortstop Manny Machado left for the San Diego Padres. And the 7-2 defeat in game one of the Yankee Stadium series won’t have lifted their spirits one iota. Keep reading to see the best ways to get an Orioles vs Yankees live stream. As you’ll see, it’s available via the ESPN+ subscription service (which comes with a 7-day free trial if you haven’t tried it before). And we’ll also tell you how to catch it even if you’re not in the US this weekend. Subscription service ESPN+ has snagged the coverage of the game 2 clash between the Baltimore Orioles and New York Yankees. The broadcasting giant’s online subscription platform only launched in 2018, but has already made waves by hosting big-ticket tennis, soccer, UFC and boxing events. But the best news is that you can grab a seven-day FREE trial. So if you haven’t used ESPN+ before, you can sign up for that and get a taster of its baseball coverage without paying a thing. If you do decide to take a full sub, ESPN+ is promising more than 180 MLB regular season games in 2019. If you’ve been looking forward to this opening day match-up but now find yourself abroad, you’ll find that your coverage will be geo-blocked. Annoying for sure, but not the end of the road…as you can try using a VPN to change your IP address to a US server and watch as if you were back at home.